Just because I have been laying low for a while does not mean I haven’t come across things to ponder. 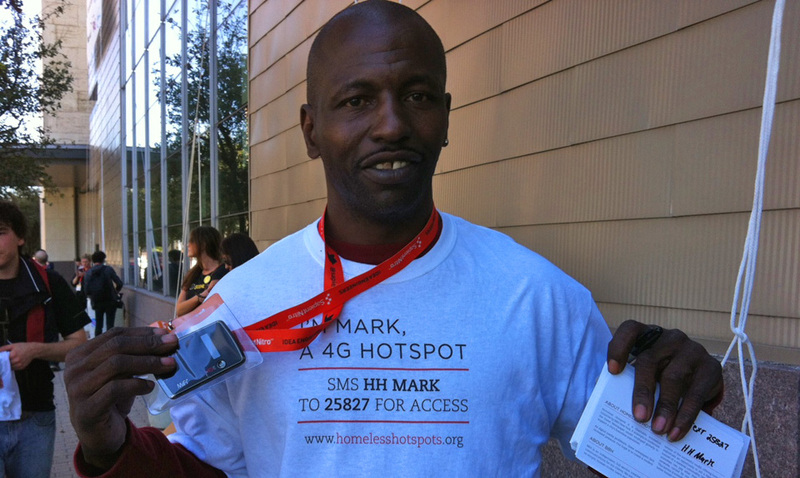 The picture below is of “Mark”, one of the homeless people reportedly enlisted and paid by New York ad agency Bartle Bogle Hegarty to carry a wireless 4G hotspot for South By Southwest Interactive Festival attendees to log in to. I’ve been following this story via Gawker for a while and would love everyone’s thoughts on this; although it is clearly an innovative use of technology, is it helpful or unethical? Is it OK that the homeless people enlisted were willing participants and were paid, or is the outrage caused justified? You can follow the story and associated commentary here: http://gawker.com/5892662/how-the-stupid-idea-of-using-homeless-people-as-wifi-hotspots-conquered-south-by-south-west.